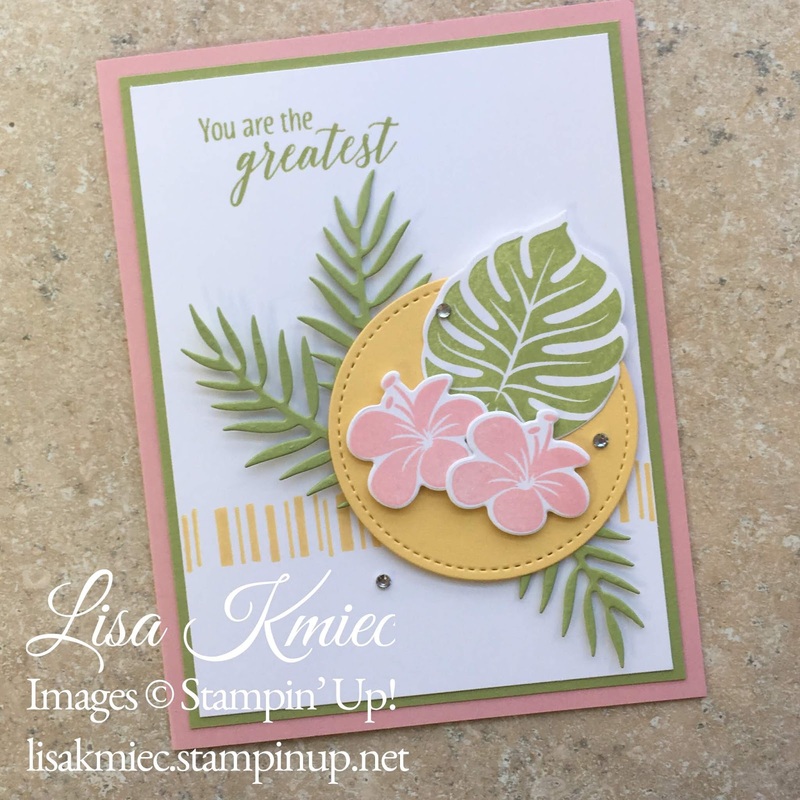 Welcome to this month's Colour Combo Blog Hop! As you progress through this hop you will see projects made by Stampin' Up! demonstrators from all over the world. Every project uses this month's color combination: Pear Pizzazz, So Saffron and Blushing Bride. I love this soft pastel combination. It's perfect for spring and Easter projects. 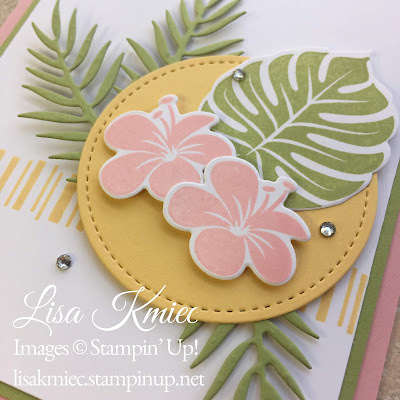 I decided to use the Tropic Chic bundle for this card. I normally use bright, bold colors with this set, but decided to see how it would look with this soft combination. I used Blushing Bride and Pear Pizzazz as the main colors and saved So Saffron for the more background elements. I'm very happy with how this card turned out. This card has lots of dimension to it! The fern-like leaves were die cut from Pear Pizzazz cardstock. They are glued to the back of the stitched So Saffron circle and then attached to the card with Stampin' Dimensionals. This makes them stand off of the card a little bit. The flowers were stamped in Blushing Bride and the leaf in Pear Pizzazz before cutting with the coordinating dies. 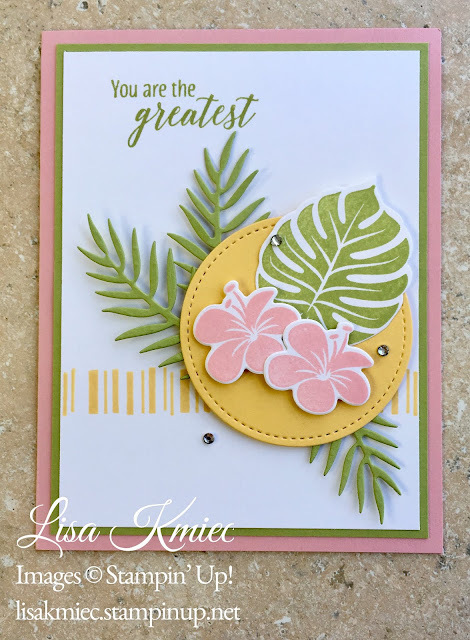 The flowers were attached to the circle with Stampin' Dimensionals. I finished off the card by adding a few small rhinestones for just a little bling. Thank you for taking the time to visit my blog today! I'm so glad you stopped by. 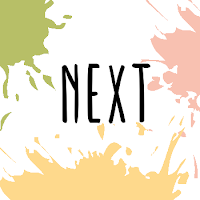 Please take a moment to follow my blog while you are here so you don't miss any posts! Be sure to use the Next button blow to continue on the hop. I know you're not going to want to miss out on what Silke has to share with you!